Learn to drive in a relaxed, friendly environment under the tuition of a patient and reliable driving instructor. A member of the Driving Instructors Association, Dave Clark is a fully qualified, CRB checked, Driver And Vehicle Standards Agency Approved, Pass Plus Registered Instructor with an excellent pass rate well above the national average. Dave trained to become a Driving Instructor in 2002 with a major national driving school and also worked with them for two and a half years before starting his own driving school in 2005. During this time he has attended many courses on Driving Instruction. He has been able to teach people from all around the world and from different backgrounds including people with slight disabilities and has also helped young offenders gain their full driving licence to kick start their new careers. 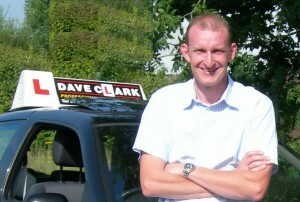 Amongst the benefits of learning to drive with Dave Clark Professional Driver Training is the ability to study from home in your own time thanks to a fully structured syllabus including free website access to Theory and Hazard Perception training as well as a free fifty page Keep On Track lesson manual. Further one-to-one Theory and Hazard Perception tuition is available on request. Refresher lessons and motorway tuition available. When you learn to drive with Dave Clark Professional Driver Training, you will benefit from a full hour lesson and absolutely no car sharing. Dave teaches safe driving for life… not just how to pass the driving test.